What is a Landlord Legally Responsible For? The parts of the building which are likely to affect the tenants comfort include basins, sinks, and baths, and anything that affects either the water or space heating in the property. So if there’s any problem at all with sanitary ware in the house – water leaks, heating failures etc, you must make sure that these are seen to as soon as possible, and you can’t charge the tenant for the repairs as they are legally your responsibility and not theirs. In some cases, for example if the tenant has damaged parts of the building intentionally or negligently, you might be able to recover the cost through a court, but you’ll have to pay up in the first place. In theory, if there is a problem a tenant is supposed to put a request for repairs to the landlord in writing. This is often impractical, especially in the case of failures in heating for example. So make sure you leave a landlords contact details list for your tenant, giving the tenant a phone number to contact you, unless you employ a letting agent in which case they should go straight to them. 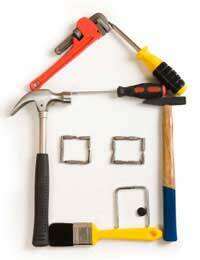 If you’ve handed over the management of the property to a letting agent, they should contact you before they carry out any repairs to your property – but at the same time, they will have a contract with you that if the repairs are likely to cost less than an agreed amount, they can go ahead without your permission, in order to get the work done quickly. If there is an emergency outside of normal working hours or at the weekend, the letting agent probably won’t deal with it straight away because of the cost of getting a contractor in to do the work out of hours. Part of the letting agent’s advice to you as a landlord could well be to take out insurance just in case this happens, so that if there is a problem out of normal hours the cost of any repairs will be covered. Unfortunately, accidents and domestic emergencies are to be expected when you are a landlord, so it’s good to have a contingency plan. Whatever you do, don’t ignore the problem, or leave it until later because these things do have a habit of escalating. Deal with the issues as quickly as possible, and you should be able to avoid further damage or expense. Most landlord insurance policies will cover the cost of call-out charges, labour charges, parts and materials up to a set amount, which is usually around £500. Emergency accommodation for one night if tenants have to move out. Check that the policy states that any emergency repairs will be carried out by approved contractors - some policies give you a list of contractors on 24 hour call out.